The dentistry category has been seeing some amazing advances in technology to improve the patient experience. Lasers have replaced scary drills and video games and iPads have found their way into procedures to distract. Village Pediatric Dental wanted to transform the space and build their own unique patient experience for pediatric patients and parents alike. We started by taking the attributes of the founder, Dr. Linda Morgan, to develop an approach of an office where “Technology meets care” for a high tech-high touch approach to dentistry. We developed a full brand strategy and identity that made it simple and welcoming for parents to bring their families to. 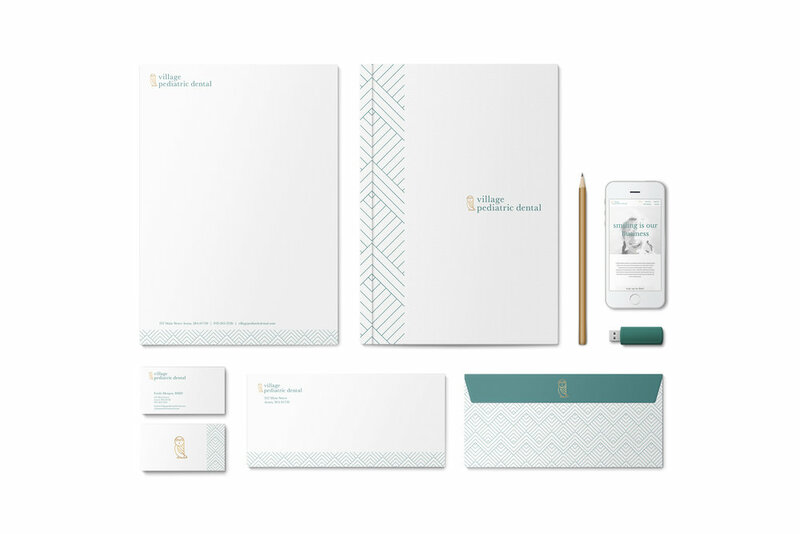 More importantly, we built a brand to stand out from the competition and to create a unique identity Village Pediatric Dental can own. To better understand the community and needs of parents as they look for pediatric dentists, we conducted in-depth one-on-one interviews in-person and online. Through our research, we discovered several insights that helped us discover pain points the brand could address, needs that weren’t being met and ultimately, the pillars the brand would be built on. As part of the EightySeven process, we took our learnings and engaged in hours of listening and learning about our clients, their business and what their vision is. Coming out of these work sessions, we develop the visual identity of the brand. Unlike traditional designers, we work in tandem with our clients along every step of the process to ideate, strategize and share ideas that build a brand together. Because of this great relationship, a combination of an amazing experience and marketing efforts and most importantly, having fun, Village Pediatric Dental has been experiencing consistent monthly patient growth 260% higher than regional average.